The Sweetest Dark is a story about Lora, a girl who’s life hasn’t been a bed of roses. As an orphan, she’s been placed in a home that doesn’t understand who or what she is, making that much harder for her to discover that for herself. When the war strikes, she is sent away to a private school for girls, away from the dangers of invading troops. There she meets sweet Jesse and the mysterious Armand, both boys who push her beyond the limits of herself and help her find the true meaning behind her existence. Truthfully, it took me a moment to get into the book. The beginning is so all over the place, trying to set up the story, that I wasn’t sure what exactly was going on. I know that beginning was needed to explain who Lora was as a character, but it left me a bit baffled. However, once Lora makes it to the school, it becomes a little bit clearer. Lora is an interesting character. Honestly, at times I wondered if she was a bit crazy. She’s not your typical heroine that’s for sure. She comes off a bit aloof in the beginning, but once she starts discovering more about herself, her characters starts to develop as well. I liked her best when she had to interact with Armand. It seemed that he brought out the real her, pushing her beyond the comfort zones she’s created for herself. Ah, Armand! If I had to pick teams, I’d be team Armand. I try so hard now days to keep myself from choosing one guy over the other, because it seems my guy always looses, but I couldn’t help myself. While Jesse was an interesting addition to the cast of characters, his relationship with Lora just didn’t do it for me. Don’t get me wrong, I enjoyed having Jesse in the picture and he’s such a sweetie. But when it came to which male character I enjoyed more, Armand took the top. The relationship that Lora and Armand had felt more real, something that I can imagine happening at any time. However, this is not a typical love triangle, which is why there really is no teams. You have to read it and discover it for yourself. The world Shana created is interesting and enchanting. This was my first book by her, and I was drawn in by the flow of her words and descriptions. Her story is almost poetic in a way, which was a different read for me. 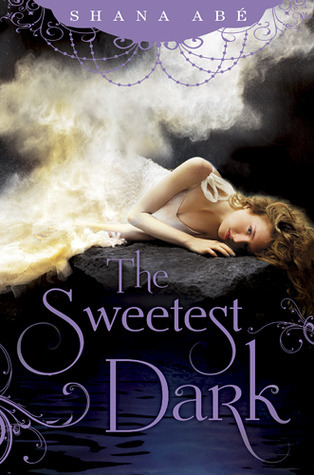 The supernatural elements will take you by surprise, and the ending will leave you breathless!The Sweetest Dark comes out April 3, 2013! I’d love to hear your thoughts!